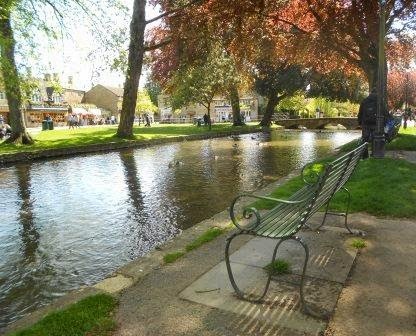 Visiting Bourton on the Water in the Cotswolds last spring was one of the highlights of my trip to England. It is a lovely town. Before I left on my trip, I researched local yarn shops and Bourton Basket was on my list. It is a great shop. 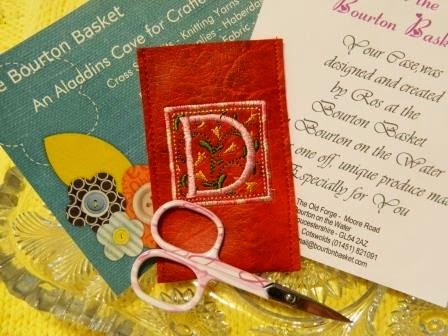 I spent time browsing through the shop and left with this scissors in a case with my initial embroidered on the front. A nice memory to add to my knitters tool kit. I bought a fingerless glove kit too. These are a gift so I’m not going to share the finished item but the yarn is Merino and Fuzzy Wuzzy in a lovely purple. One of the recipients favorite colors. Bourton on the Water has the lovely benches along the canal. This picture inspires me to find a bench and spend some time knitting outside when the weather is good. 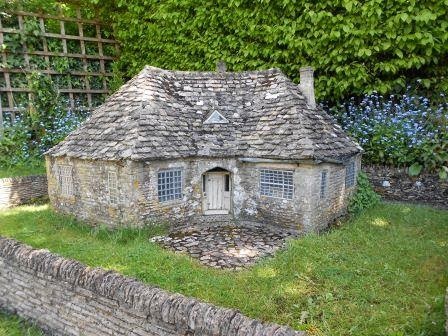 Then there’s the miniature village. Here’s one of my favorite houses. The Cotswolds are a great place to visit and I wouldn’t mind spending more time there.